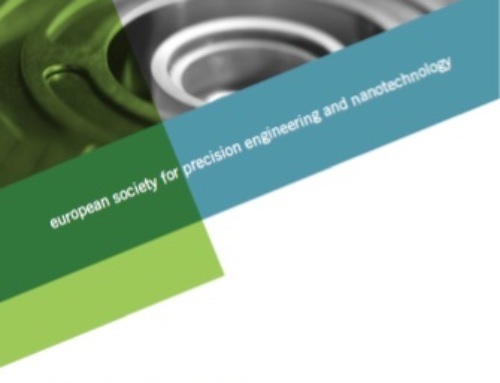 euspen (The European Society for Precision Engineering and Nanotechnology) has announced a joint conference on Thermal Issues in Machine Tools with CRC/TR 96, March 21-23 2018 in Dresden, Germany. As the scale of manufacturing gets smaller, factors that at the macro scale are of no or limited importance become critical. One such is the effect of thermal issues when machining, and this is an area that both CRC/TR 96 and euspen have been focused on for many years, with an eye to solving the conflict between reducing energy consumption while increasing accuracy and productivity in machining. In recent years, advances in electro-mechanical design features have led to enhanced resolution, accuracy, and bandwidth in various precision machining processes. Use of synthetic materials, low friction guideways, high specific modulus components, high-force/low inertia actuators, and close-coupled linear scales have all been integrated into dynamically stiff structures using modern, multi-loop control strategies. This has led to finesse replacing the “blunt instrument” and “brute force” solutions of times gone by in precision-engineered motion-control systems. Such thermal issues in control will be looked at at the conference, as will modelling and model reduction techniques; measurement of thermal influences on machine tools and workpieces; compensation and correction of thermal effects; design principles for thermally robust machine tools (machine tool elements, machine structures); testwork pieces and assessment; and thermo-energetic design. The topics of modeling and simulation, experimental methodology, design, and bench marking were all discussed in five previous CRC/TR 96-workshops. The joint euspen CRC/TR 96 conference follows up on this path and offers parallel sessions concerning these topics. To register, please contact Dishi Phillips, Business Development Manager at euspen on t. +44 (0)1234 754023 e. dishi-phillips@euspen.eu.